The Art of Danny Beck: And the hits just keep on coming. What a year this is turning out to be. First the loss of my dad followed closely by the loss of our precious little hamster - Jelly. 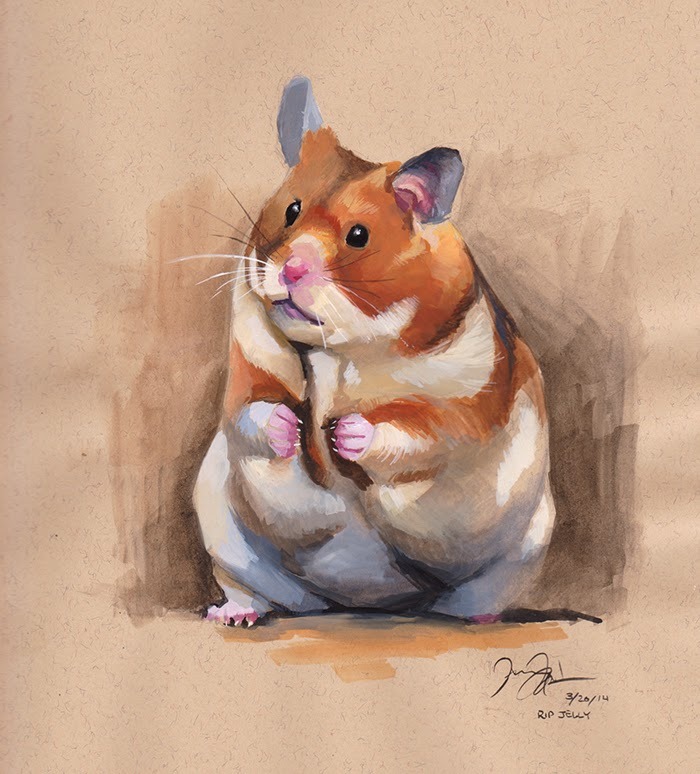 She was the source of great inspiration in my hamster/monster illustrations. Jelly was the sweetest and the cutest little soul and she was all personality, too. Unfortunately Hammies don't live but 2 years (3 if you're lucky) but the joy she brought in that short time will last us a lifetime. With Dina working away all day and Jelly now gone it's a little more lonely here in our work room. She will be sorely missed and will continue to be a constant source of inspiration in my book endeavors. She passed away the day before my dad's ashes were laid to rest in a very nice ceremony at the Veteran's Memorial in Mesa, AZ. Work on my hamsters and monsters book is on hold temporarily. I have been struggling to write just the right story for them and I don't want to force it. These characters are very special and dear to me and I won't settle for a mediocre story. So, while I wait for my hamsters and monsters to tell me what they want me to write about I am working on developing another story. It's a fun one that I write from personal experience. Hopefully it will get the proverbial ball rolling on finding an agent and publisher. 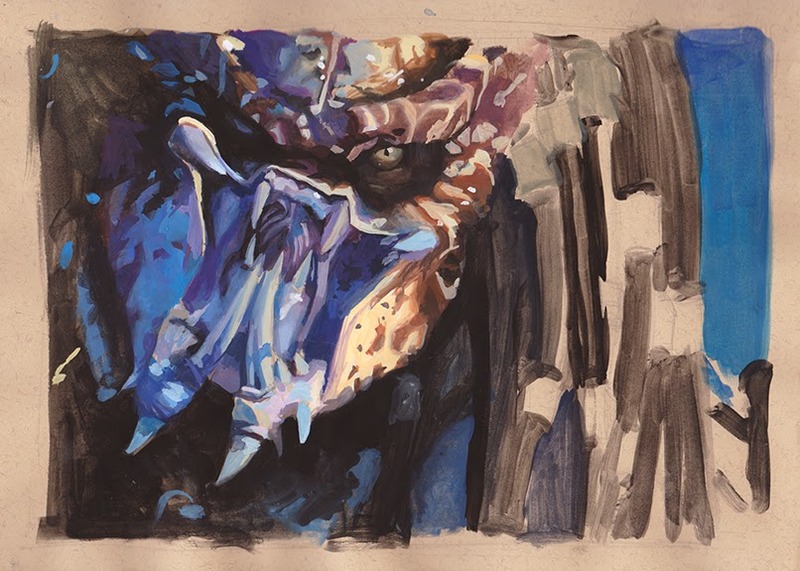 Once the dust finally settled I decided to bust out the gouache paints and paint a little tribute to Jelly followed by a color painting exercise of my favorite movie monster - the Predator. Gotta keep the painting skills sharp! 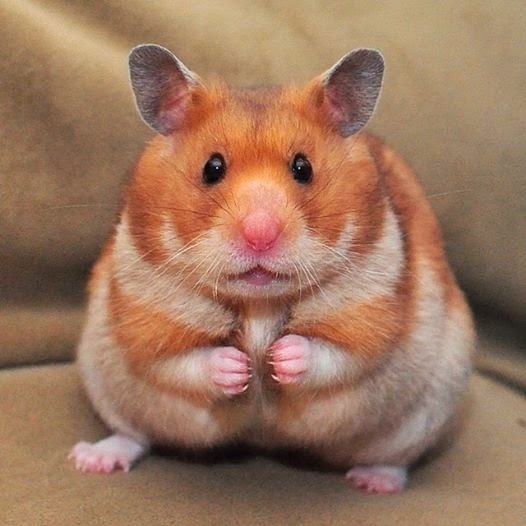 THE cutest hamster that ever was - Jelly.